Well there was what was described as an AR-18 parts kit for sale on gunbroker. When I first saw it the seller had an F rating. The description also mentioned that the parts were in Europe. I still am confused about what part of the AR-18 actually is the “Machine Gun”. 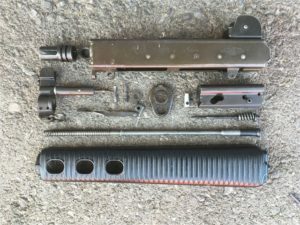 The parts kits that Numrich sold some years back were first sold with the uppers cut and the lowers intact, not unlike the current SAR-80 kits. The ATF changed their minds and had Numrich recall them to cut the lowers up. I invite your comments and speculation about whether an AR-18 upper is legal to own or if it could be imported into the country? I saved the sole picture from the auction so after it goes away this post will still have some value. Buy it now price was $995 and the auction was ended early. Who knows what happened behind the scenes? I dont know about legality but wouldnt pay that much anyway! I have a letter (somewhere) from BATFE Tech Branch from way back when that states that the LOWER is the gun. Interesting is that it states that what makes the lower a machine gun is it having the word AUTO stamped on the FA selector position. The letter does not state it but I have always considered the upper just parts regardless of how configured. Why buy parts at $999 when you can buy the whole rifle on Gun Broker? You’d pay more than $1K though for a complete rifle. The reason is because this is an AR-18 upper not an AR-180. It also has all the auto sear parts included. Those with a $15k AR-18 might want replacement parts or to put together a spare upper. Okay, understand. So is it legal to purchase the AR-18 upper and sear parts? 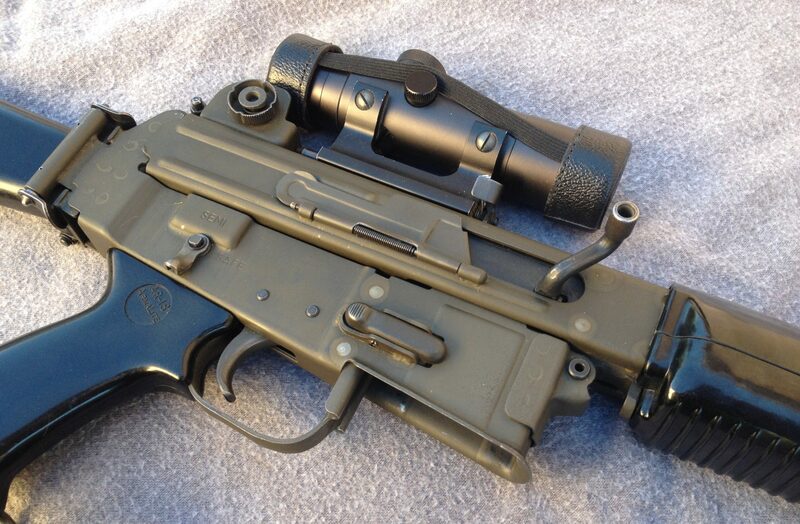 I would think the upper is not the registered part of the gun. I would think the auto sear would need to be registered though. It would appear from my research that the only registered part would be the AR-18 lower. I guess the question of constructive possession comes into play if you had all the parts including hammer and safety as those could be dropped into a 180 lower. Just the parts being sold in that gunbroker auction “should” be legal. A lot of gray areas when AR-18/180’s are concerned.